Making money online is something many of us dream about, as it gives a lot of freedom to work on your own terms. A very popular way to make money online is affiliate marketing. There are many places where you can learn this – but it is not easy to find quality training that will teach you real skills. I have worked with affiliate marketing for several years and both failed and succeeded. In this article I will show you what in my experience is the best way to learn affiliate marketing effectively. Why affiliate marketing is a great skill! 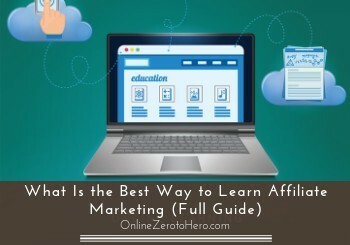 Maybe you already know exactly why you want to learn affiliate marketing. If not, I just want to go over, why it is such a great skill to know, and give you some ideas how to use the skills, once you have learned them. When you work with affiliate marketing, you can earn money online by recommending and selling products you do not own. Contrary to having a webshop, where you need to have storage space and infrastructure, this is not necessary with affiliate marketing. You will be recommending and selling products/services without having to deal with any of the practicalities of shipping, customer service, storage, etc. This makes affiliate marketing VERY cost effective compared to having for example a webshop or a regular business. In general the cost of starting an online business is very low compared to starting any other kind of business. You can therefore get started with a very small investment, and then grow and reinvest as you start earning. This makes it possible for anyone to start working with affiliate marketing. A huge advantage of learning affiliate marketing is that it makes it possible for you to work when and where you want to. As I just explained, you do not have to have storage space or anything else. All you need is internet access. So you can work from anywhere in the world, and at the times that suits you. This gives a lot of freedom to plan your own life – I think this is one of the reasons affiliate marketing is such a popular way to try to make money online. The great thing about having an online business in general is that the internet works 24/7. Therefore, you will not only earn the hours you work on your affiliate business. You will earn around the clock. You do the work, and then you will also earn passively while sleeping, when you are on holiday, etc. Please understand that this does not mean you just have to work a few minutes and then the money will passively roll in for the rest of your life. This is one of the big myths of internet marketing, because so many scam programs promise this to lure money out of you. Once you have learned proper affiliate marketing, you will earn, when you are not working. But you still have to continuously work on your business – if not, it will slowly die out again at some point. It is great being able to work on your own terms. What makes it even better is that you can earn through affiliate marketing in ANY niche/topic. So no matter what you are interested in, you will be able to find affiliate programs within that niche. It is great being able to earn by working with something you are passionate about. In addition to this, you can also help other people and earn by helping them. You will provide valuable and honest information, they will get good info that helps them and then they will potentially buy through your links, and you will earn commissions. Then you can reinvest this into scaling your business and help more people and make more money for yourself at the same time – it is win-win. I think this is a great aspect of affiliate marketing. I have for example worked with online marketing and communication for years. Here on OnlineZeroToHero.com I can then share my experiences and hopefully help you and other people with valuable information, and at the same time earn. This makes it very fulfilling to work with affiliate marketing. I know that there unfortunately also are many affiliate marketers and affiliate marketing training programs that does not teach this approach. You will often see people willing to promote whatever pays the highest commissions and not care about how they can also help people, but only care about making money themselves. This is NOT an approach I recommend. If you want to learn affiliate marketing, I encourage you to do it honestly. It both makes it more fulfilling to do, and at the same time honest affiliate marketing can also boost your earnings in the long run. An extra bonus about having affiliate marketing skills is that it will give you a lot of knowledge about how internet marketing in general works, if you learn it properly. Internet marketing skills is something a lot of people and companies need help with, so you can also use the skills as a freelancer or to promote any other kind of business. Personally, I am for example also sometimes working as a freelancer and help companies with SEO, and I sometimes teach courses in online marketing. So the skills are very valuable – not only for making your own online income, but you can use the skills and take it in any direction you want to. 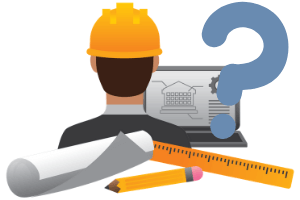 Do you need to learn affiliate marketing or is DIY possible? When I first heard about affiliate marketing, I thought it sounded great, and decided to try to make an affiliate website. At that time I had already worked with online communication for several years, but never heard about affiliate marketing before or tried to make money on my own website. I read a lot of blogs, and tested several things on my own, and I did manage to get a few sales. But it never really took off, and I slowly started to give up on the idea. I have heard the same from many other people as well, and sometimes they then even claim that affiliate marketing does not work because it did not work for them – but it does work (I know now). Later I found out that it was simply because there were several steps in the process I did not understand, and I did not have an overview of the direction, and did not understand how to continuously work with affiliate marketing. Therefore, my site never took off. I was of course skeptical at first, but decided to give it a try – and I am very glad I did. Through this training I have been able to learn the skills very well, and today I earn a full-time from what I have learned through this training. Therefore, I highly recommend that you find proper step-by-step training, as this will increase your chances of success and will speed it up. I will get to the step-by-step training I use and recommend later. First I just want to go over a few things that are very important to remember, if you want to become a successful affiliate marketer. Without this, no training (no matter how good) will help you succeed. What is important when learning the skills? There are many places you can learn affiliate marketing. No matter where you choose to learn the skills, there are some important things to remember that will increase your chances of success. Also, by being aware of these things, you will be able to easier spot the scam programs and choose a legit training program. The reality is that most people that try to make money with affiliate marketing fail. There are several reasons people fail, but some big reasons are that they give up too quickly and do not approach it with the right mentality. When I first started and tried it out on my own, I did not take it serious enough. I just thought, I would give it a try. If you want to succeed, you have to be willing to really make an effort and approach it, as you are starting a business. People that just want to give it a try for a couple of months and not spend much time on it will in most cases not succeed – especially if they do not have any previous experience. Everything in life takes time to master. It is the same with affiliate marketing. It takes time to master the skills, but it can definitely be worth taking the time. So be willing to work hard and make an effort. Then it definitely is possible to learn no matter your previous experience. When looking for affiliate marketing training, it is important you find training that includes practical steps. When I started, I read a lot, which is of course also important. But affiliate marketing also requires action and practical experience. So make sure the training you find includes practical exercises as well, and helps you actually build your affiliate income instead of just giving you theories about how it can be done. Internet and affiliate marketing is ever-changing. It is not a skill, you can just learn in a few hours, and then you know everything you need to succeed. You have to be willing to keep learning and keep updated on the newest trends and updates, so you can adjust accordingly. I already mentioned many people fail with affiliate marketing and some reasons for this. Another big reason for failing and giving up is unrealistic expectations. One of the reasons for these unrealistic expectations are the many programs that promise you can earn money on autopilot online without any work, as you can see an example of below. It is NOT realistic to have a system do all the work for you or become rich overnight. If you want to become a successful affiliate marketer, you have to be willing to work for it and put in time. It will not happen overnight, and it will not make you rich in a few weeks. You might have to learn and work for several months before you even start earning. Do not let this stop you. It is normal, and as already mentioned, it takes time to become successful and master any skills. This is important to remember. I strongly advise you to do affiliate marketing with integrity and to be honest. This means to only recommend products you truly recommend, and focus on how you can help other people, while you in the process will also make money online yourself. In a sense you can say this point is optional, as I unfortunately know some people have become successful online without being honest. But in the long run I highly recommend an honest approach. It is not worth it to promote crappy products/services just to earn a commission. Think about the people that will end up wasting their time and money on this. If you do affiliate marketing with integrity and honesty, it can be a very fulfilling way to make a good living, so I strongly encourage this approach and only to follow training programs that teaches this approach. There are many programs that claim to teach you affiliate marketing. There are many poor ones, many outright scams, and then there are of course also several good ones, even though the can be difficult to find. I have looked into many approaches and tested several ways. I can say that without a doubt my top recommended place to learn affiliate marketing step-by-step is the learning platform Wealthy Affiliate. This is the platform that have taught me how to earn money through affiliate marketing. There are many reasons this is my top recommendation. Let me just quickly go over some of the most important reasons, why this is a great learning platform in my experience, and what you get out of joining. One of the main reasons I recommend this platform is the step-by-step training for all levels. Remember I mentioned that when I first tried doing affiliate marketing on my own, I did not understand the full process and missed several steps? The step-by-step training at Wealthy Affiliate filled out the blanks, and I have seen how it has also taught complete newbies to become successful many times. Without a doubt the best affiliate marketing training I have seen and tried. 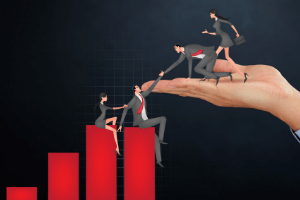 I have already mentioned several times in this article how important I think it is to have an honest approach to affiliate marketing. What I love about the approach at Wealthy Affiliate is that it teaches exactly this approach. You learn how you can make money, but with focusing on honesty, on helping people, and by providing quality information. The platform constantly evolves, and new training and tools are included all the time.